Hi there, my name is Vandana. I'm a researcher, translator and producer based in New Delhi. I have been working as a fixer for print and radio journalists since 2014. My clients include NRC Handelsblad, NPR, BBC,The Sunday Times and TIME. I have worked on a range of stories related to the Indian elections, social issues, history, economy and sports. I have a Bachelor's degree in Journalism from Lady Shri Ram College, Delhi University and a Diploma in Documentary Production from Prague Film School, Czech Republic. I speak English and Hindi fluently. 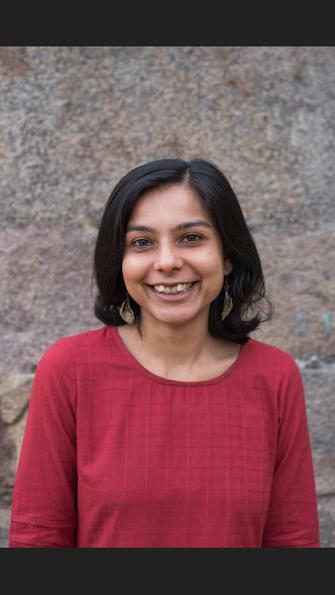 I have traveled extensively across India and I'm able to take on travel-based assignments. An article on the Kumbh Mela 2019 & the politics associated with it. I did primary research for this story and translated & transcribed telephonic & on-ground interviews. What India Wants - TIME. An article about Kumar Vishwas contesting General Elections 2014 from Amethi, an electoral seat which has been won by the Gandhi family for years. Story by Krista Mahr, former bureau chief, TIME Asia. I translated field interviews for the story. Memory of religious riots mars Indian election campaign - The Australian. 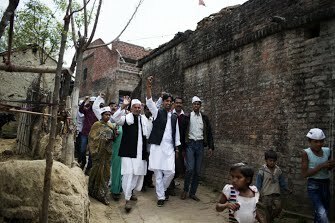 An article on the situation in Muzaffarnagar, Uttar Pradesh, India on the day of the General Elections 2014 which originally appeared in The Sunday Times UK. Story by Nicola Smith, foreign correspondent formerly based in New Delhi. I translated field interviews for the story. 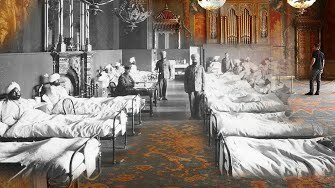 The Ghostly Voices of World War One - BBC. A radio show about the Gorkha and Sikh soldiers from British India who were captured by Germans during World War One. The show takes rare audio recordings made by these soldiers and traces their descendants on the first centenary of WW1. Hosted by Priyath Liyanage and produced by Mark Savage. I did research and translated field interviews for this show. 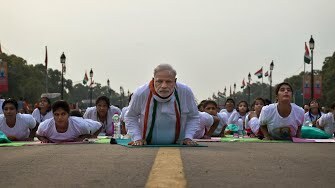 35,000 Bend It With Modi As India Launches World Yoga Day - NPR. An article about the first International Yoga Day launched by PM Narendra Modi in 2015. Story by Julie McCarthy. I did research and translated field interviews for this story. A Child Bride At 13, She's Turned Herself Into A Prize-Winning Wrestler - NPR. An article and radio story about Neetu, a former child bride and female wrestler from Haryana, India. Story by Julie McCarthy, former South Asia bureau chief, NPR. I did primary research and translated initial field interviews for the story. Zijn armen in India echt geholpen met Modicare? - NRC Handelsblad. An article on Modicare, a public health insurance scheme introduced in India in 2018. Story by Eva Oude Elferink. I did research and translated field interviews for the story. Narinder Batra, zakenman met passie, maar soms te bruut - NRC Handelsblad. A profile of Dr. Narinder Dhruv Batra, the chief of the The Fédération Internationale de Hockey, also known as FIH. Story by Eva Oude Elferink. I did research for the story. ‘Tribale volken zijn geen toeristenattractie’ - NRC Handelsblad. An article on the Dr. T.N. Pandit, a veteran anthropologist who was one of the first people to make contact with the North Sentinelese tribe in the Andaman & Nicobar Islands, India. Story by Eva Oude Elferink. I did research for the story.